The tradition of eating octopus arose in areas far from the coast, as the mollusc was easily preserved. After being dried, it was soaked for a few hours and then prepared. 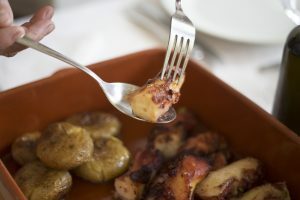 This is perhaps why we find octopus recipes throughout the Trás-os-Montes region and why it is often a dish chosen for traditional Christmas Eve dinners here and the Alto Douro. There are various “tips” to make octopus tender. 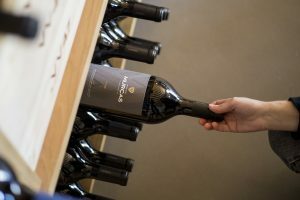 Some believe that adding a wine cork to the cooking water solves the problem, while others beat the animal violently, swear by the benefits of onion skin or the more modern wonders of a pressure cooker. An octopus has strong fibres, which, unless broken, make it tough when cooked. In the past, the only solution was a muscular one. Nowadays, freezing it is enough to break the fibres. A recipe from ‘our home’. 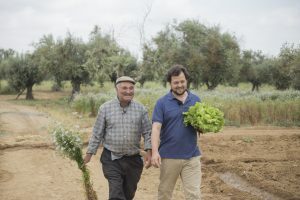 Chef João Rodrigues and Mr Domingos remind us the importance of a product’s origin.